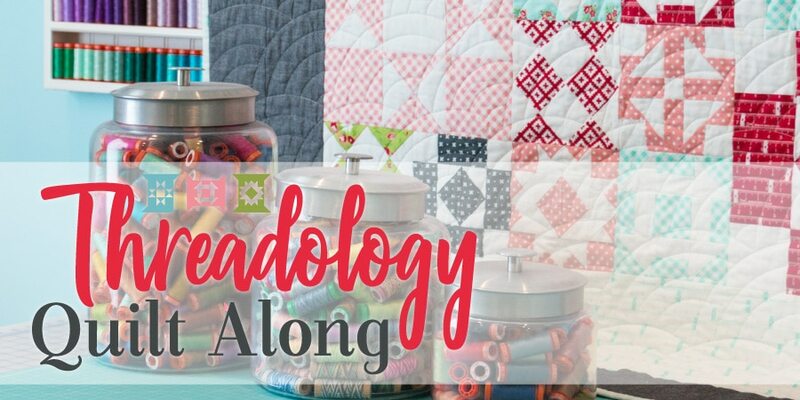 We are proud to present the 2019 Threadology Quilt Along! 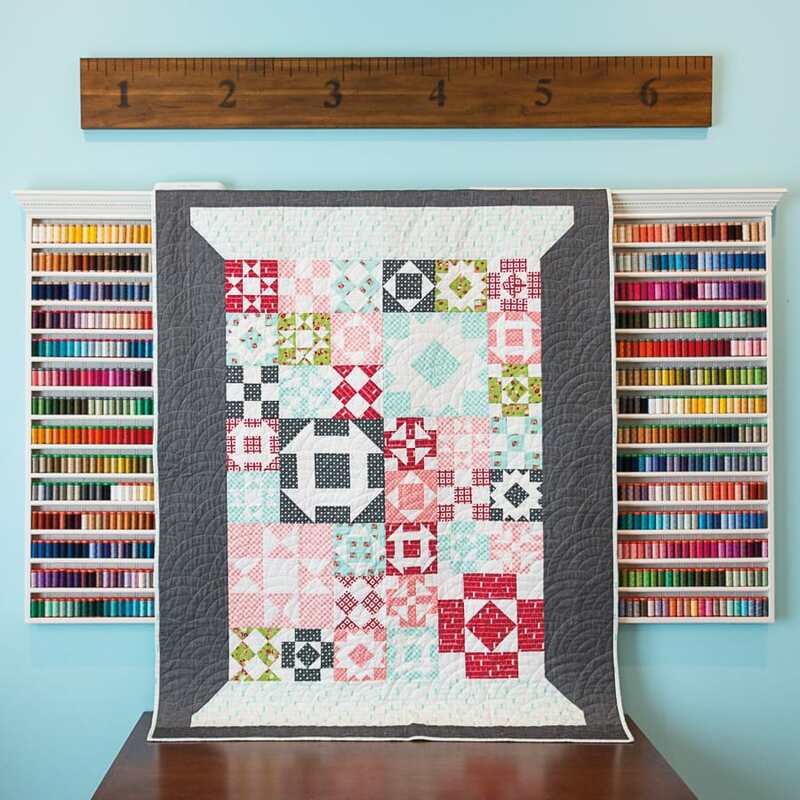 Join us in making this spool-ish quilt with 8 different sampler blocks to create the Threadology Quilt, featuring Little Snippets by Bonnie & Camille for Moda Fabrics! Our Threadology Quilt Along benefits the Make-A-Wish Central & South Texas! Fat Quarter Shop is happy to be partnering with Moda Fabrics to match up to $10,000 each in donations for this awesome cause. So please DONATE today! You can also use your own choice of fabrics by using our fabric requirements and checking back every two weeks to download the patterns as they are posted! The Threadology quilt finishes at 52.5″ X 68.5″. We are sold out of the Threadology Quilt Kit and Backing set so if you are just joining us, you can find the full fabric requirements to make a Threadology Quilt just like ours (we used the Little Snippets collection by Bonnie & Camille for Moda Fabrics). Our Threadology patterns are FREE to download! We ask for a donation of $5 to our Make-A-Wish Central & South Texas campaign each time you download our patterns. We are so excited to be announcing that along with having the block patterns for Threadology, we will be releasing extra finishing patterns you can do with the blocks! When your donations reach the goals listed above ($3,500, $7,000 and $10,000), you will “unlock” a new pattern! We will release one extra setting pattern for you to transform your Threadology blocks into a new project!